Super Small = Super Cute! Whenever Keiichi leaves the house, Belldandy, Urd and Skuld shrink themselves to play with the other residents of the area - including their clueless rat sidekick, Gan. Whether it's a battle against Gan-zilla or adventures in kitchen appliance romances, the goddess adventures are dangerously funny! I have just watched all 48 7-minute episodes in two sittings with my brother. This is a great series which I can watch again and again. The producers of this show simply took our three beloved goddesses in their mini form, added a foil in form of the rat Gan-chan, and then had simply fun with them. Be it in a parody of Godzilla movies, or Die Hard or other crazy adventures. Probably you will need to know these characters in their normal form (either through the OVA, TV series or manga) to get a lot of the jokes. The adventures of 'SAM & MAX: FREELANCE POLICE!!!' is an edgy and often irreverent, impudent, insolent, impious and silly series about a pair of likeable law enforcement types who don't take crap (oops! we mean guff) from anybody. It's about the timeless struggle between good, evil and snacktime; the weekly mishaps of a six-foot dog-Sam and a three-foot rabbity-thing (though he prefers the term 'lagomorph')-Max-who have a mirthful time trying to resolve only the weirdest criminal cases of the day. Really. Based on Steve Purcell's enormously popular underground comic. Original package illustrations by Steve Purcell. Not as much fun as the game but worth the 18 bucks I spent. The dialog between Sam and Max has its highlights. A wonder is, with what they could get away with in a show, which is supposed to be aimed at kids. For fans of Sam and Max definetely worth checking it out. 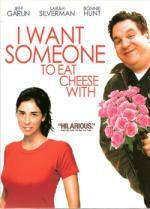 The writer and director of 'The 40-Year-Old Virgin' delivers another hilarious hit comedy! They say that opposites attract. Well, for slacker Ben (Seth Rogen) and career girl Alison (Katherine Heigl), that's certainly the case – at least for one intoxicated evening. Two months and several pregnancy tests later, Ben and Alison go through a hysterically funny, anxious and heartwarming courtship that leads to huge laughs in the most outrageous comedy of the year! A fun comedy. Also almost the complete cast consists of actors which appeard in Judd Apatov's earlier works, which makes it a fun "reunion"
If you liked Freaks and Geeks, Undeclared and 40-Year-Old Virgin this is the movie for you. 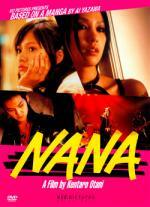 Based on the popular manga by Ai Yazawa, NANA follows the adventures of two girls both named Nana. While they share the same name, they couldn’t be more different. Nana "Hachi" Komatsu follows her boyfriend to Tokyo in hopes to make a new start, while Nana Osaki, who arrives in the city at the same time, is a punk rock beauty who has an ambition to make it big in the world of rock and roll. Although these two young women come from different backgrounds, they quickly become best friends to seek their happiness and dreams. The bestselling manga is brought to life by J-pop icon MIKA NAKASHIMA and popular actress AOI MIYAZAKI, and directed by KENTARO OTANI, with an original theme by J-Rock superstar HYDE (L'Arc-en-Ciel). And I was surprised when I read Ken'ichi Matsuyama's name in the end credits. He played L (my favorite character in Death Note). I didn't even know he was in this movie. I didn't recognize him, but it could be because I wasn't looking out for it. The first movie I had bought as RC1 (it just has been released there). The sequel is not yet available as RC1. The Hong Kong release has English subtitles though. But now I have a problem: I am still missing $10 for my order at yesasia.com to get free shipping. Any recommendations? Battle Royale (the Hong Kong DVD) is available for $9.99. I suppose you know what it's about (therefore could have an idea if it may be your cup of tea) and I didn't see it in your collection. I hope yesasia.com's system is tolerant in this regard. I can't really recommend anything right now, but I am sure most people will advise against(!) adding Battle Royale II to the shopping cart. I will probably order this movie I stumbled across to get the missing 2 cents. The most expensive Turkish movie ever made (5 million dollars. See Hollywood, you can make good looking movies on much smaller budgets. Just get rid of those pesky expensive cast ). I saw this at the cinema by chance and then bought it on DVD when it came out. It is a fun movie. It is a sci-fi comedy which takes jabs at movies like Star Wars, Fifth Element and The Matrix. Realty TV gets a reality check in 'Run Ronnie Run! ', a hilarious comedy starring David Cross and Bob Odenkirk of HBO's "Mr. Show". Ronnie Dobbs (Cross) is a drunken, mullet-haired criminal who can't seem to keep himself from getting arrested. When spotted once again on a national reality show, a Hollywood TV producer, Terry Twillstein (Odenkirk), gets the brilliant idea to base an entire show on Ronnie himself. Overnight, Ronnie is a national TV star and the toast of Hollywood! But it isn't long until clean living and morality get the better of him and he can't get arrested anymore, no matter how hard he tries. Is this the end of his career... or the beginning of a new one? Featuring cameos from an all-star comedy cast, 'Run Ronnie Run!' is non-stop insanity that turns reality TV on its head! Based on a skit from the great comedy show "Mr. Show". Although not near as good as the TV show this movie is fun to watch. There are also a lot of cameos to be seen in this movie. This movie had a hard post-production history and is because of this disowned by Bob & David. By the way, if you have not seen "Mr. Show" I definetely recommend it. It is often seen as a modern Monty Python show. I have gone through this thread just now and assigned ratings where missing and re-rated some movies according to our new "forum standard" rating system. Filled with hilarious performances from a great ensemble cast including Bonnie Hunt, Amy Sedaris, Richard Kind, Paul Mazursky, and Joey Slotnick. The movie is like a long episode of 'Curb Your Enthusiasm', just without Larry David. It had some really funny moments. Besides that not something particularly special. Rather disappointing. Mosty unfunny comedy. It is probably the Adam Sandler movie I enjoyed the least. Interesting. I found it to be quite funny in the theatre. The only part I didn't like was the "morality speech" in the court room. The movie was pure fun with some good non-pc gags. And then they try to rub in the morale with the subtlety of a sledge hammer.